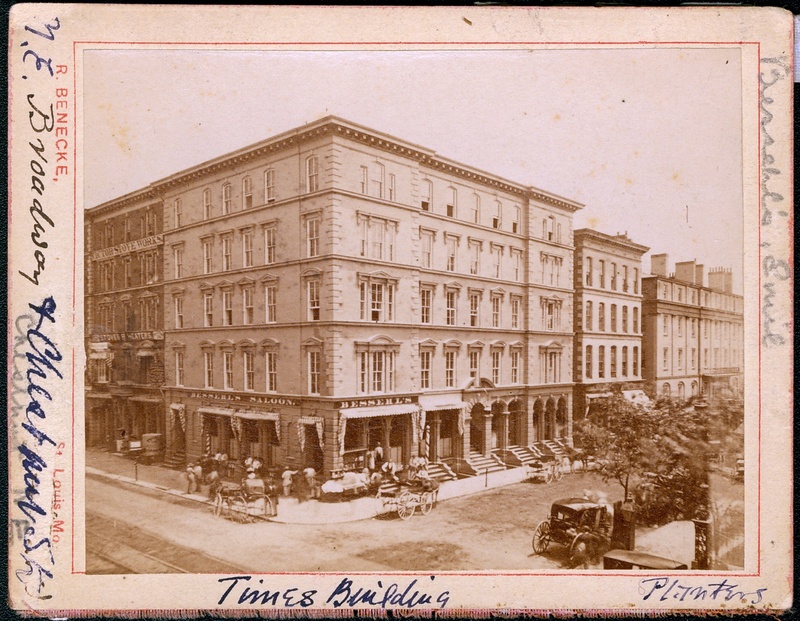 St. Louis Times Building, with Emil Bessehl's Saloon on first floor. Planter's Hotel at right. Broadway and Chestnut Street, northeast corner.